Look, it's a sandwich if we say it's a sandwich. 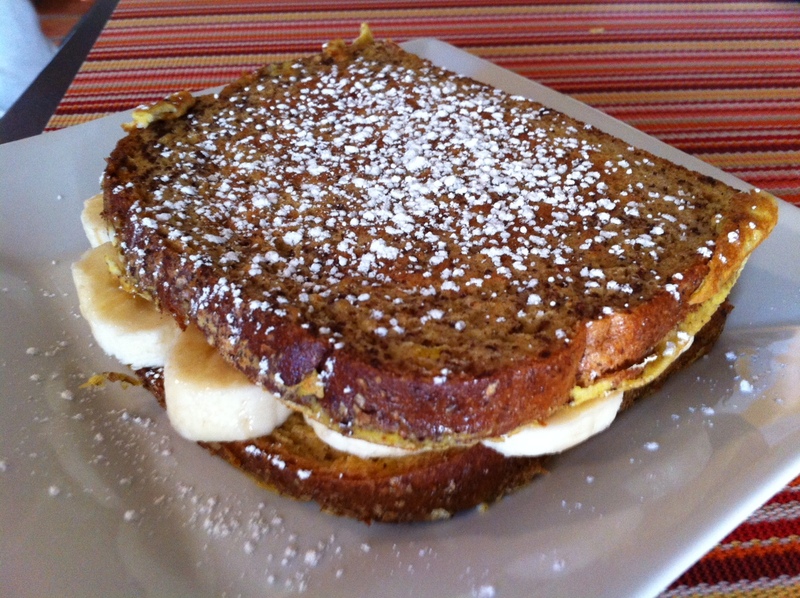 Honey wheat bread griddled in cinnamon egg batter, sliced bananas and a drizzle of pomegranate honey inside. Damn ... forgot the peanut butter.